Vainglorious just moved over to the new version of ComicControl (Hiveworks' comic management system) so today's update is a bit late! 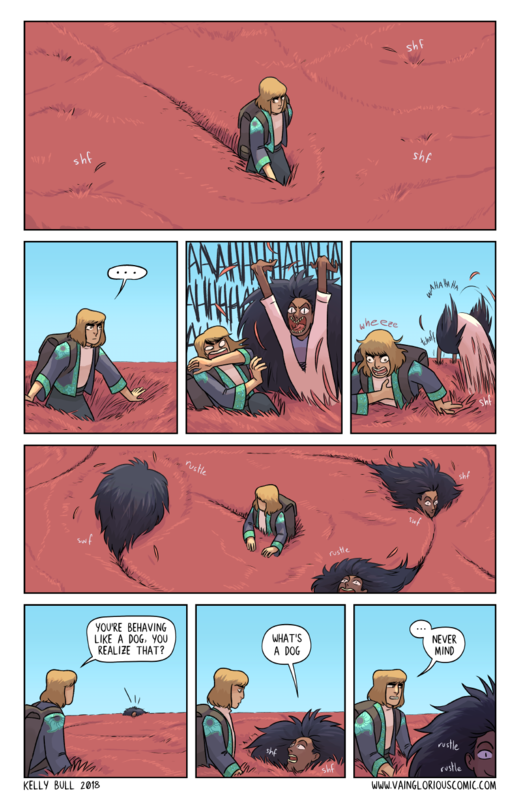 I'm still getting used to all the editing options, so if you see any finicky things happening on the site, either comment below or contact Hiveworks support on Twitter! In the meantime, Hammer is going to have to get used to Rei understanding all the words that come out of his mouth, but having no idea what he's actually saying. Thank you for your patience while transferring over to a newer and better system! Hopefully everything will be smoothed out by the time we see each other again next Monday! Until then, thank you for reading and commenting!